Not science fiction, philosophical fiction. 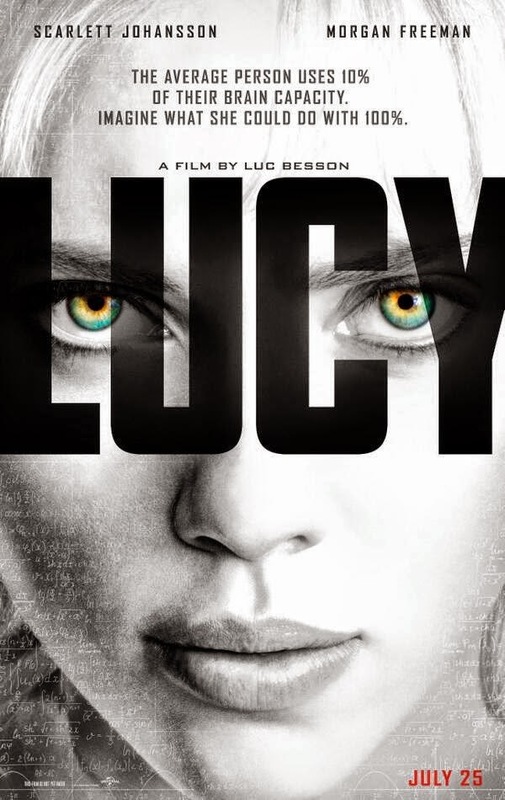 Luc Besson’s new film “Lucy,” though briefly popular in the typical summer onslaught of moviedom’s flashing lights and loud noises, has been derided far and wide as both ponderous and empty-headed – an improbable violence-fest guised in gaudy conceptual rags. The thriller stars Scarlett Johansson as a typical young woman at loose ends who gets roped into being a drug mule, inadvertently ingesting some of it. This being Luc Besson, the drug in question is an evolutionary booster, a chromosome-shaking megadose of cosmic consciousness. Which of course puts Lucy on a collision course with an army of armed drug traffickers, keeping the theorizing to a minimum. Or are we? Besson has a hungry and expansive imagination, closer to artists such as Moebius, earlier epic German fantasists such as Lang and Murnau, and contemporaries such as Jeunet and Caro (“Delicatessen,” “The City of Lost Children,” “Amelie,” “Micmacs”). Besson enthusiastically flings all manner of ideas into his screenplays, and from “The Last Combat” through “Nikita,” “Leon,” and “The Fifth Element,” he has consistently tethered big ideas to expertly crafted, fast-paced adventures, almost always quests for redemption. “Lucy” works for me precisely because of its conceptual arrogance. That the film’s first image is of dividing cell both sets up and subvert the viewer’s expectations. You were looking for an adventure film, perhaps? It seems you are getting a biology lecture. And you are. Morgan Freeman is on hand to provide his fatherly, explanatory anchor, just as Choi Min-sik (Park Chan-wook’s original, inimitable Oldboy) fills the role of the feral, predatory kingpin Mr. Jang, who will serve as the uninvolved counterpoint whose superviolent machinations give us a reason to keep watching. Insert shots of the hunt-or-be-hunted nature of animal life, reconstructed moments with the heroine’s namesake, the Olduvai ancestress whose bones branded her in the public mind as the first true hominid, and CGI-rich visualizations of the universe and the Big Bang pepper the narrative. Besson’s usual cinematographer Thierry Arbogast has a field day with the breadth of images and effects that need to be corralled together to make the movie work. And it does. Luckily, Johansson takes on a role originally intended for Angelina Jolie, whose pneumatic sang froid might make her seem too invincible. True, Lucy is basically one with the universe and can make just about anything happen by the halfway mark of the film’s running time. What keeps us in the game isn’t merely the what’s-going-to-happen-next impulse, but the transformation of Lucy from a bimbo, really, to an all-knowing godlike being. Her detachment from human things continues as her intelligence ratchets up (we are given big percentage sign graphics to show us how much of her brain she’s accessing at the moment), but Johansson retains enough curiosity and concern for mankind to keep her engaged with those around her. Besson, as usual, and in common with another grandiose action master, James Cameron, goes with a strong female protagonist. The decades of strong, relatively undemonstrative heroes – Bogart, Gabin, Mifune, Mitchum, Wayne, Tracy – led unfortunately into the ‘80s dominance of the extroverted, wisecrack-happy alpha male – Schwarzenegger, Stallone, early Willis, and virtually every inhabitant of the “Expendables” franchise. The move toward female action stars, initiated by Blaxploitation films and epitomized by Pam Grier, gradually leached over into the mainstream in films such as “Alien,” giving birth to empowered badasses such as Trinity, Clarice Starling, and . . . Marge Gunderson. These characters are finally capable of being vulnerable without being helpless, and emotionally articulate without being a plot device. With a female protagonist, something is actually going ON inside that head, and the better filmmakers keep that in sight. “Lucy” ups the ante. Not content with simply seeing what happens when someone is given the power to transcend space and time, Besson asks why, and what should be done with the opportunity. He and we get to have our cake and eat it too – we can revel in the kinetic destruction and speculate on cosmic possibilities at the same time. If it seems too simultaneously high-end and low-end, maybe it’s just that our brains need a little stretching.